If you just signed up for your first Bike MS Pedal to the Point, Pelotonia or another event ride that involves longer distances or multiple days, you probably have a million questions. What bike is best? Which gear is essential? How do I build up my miles? What should I pack for the ride itself? 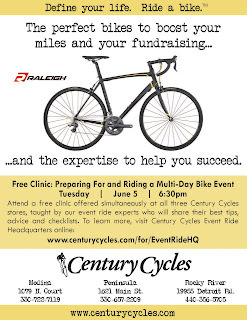 Join us tomorrow at a FREE clinic offered at all three Century Cycles stores at 6:30pm -- Preparing For and Riding a Multi-Day Bike Event. Our staff will share their expertise and you'll get the answers you need. 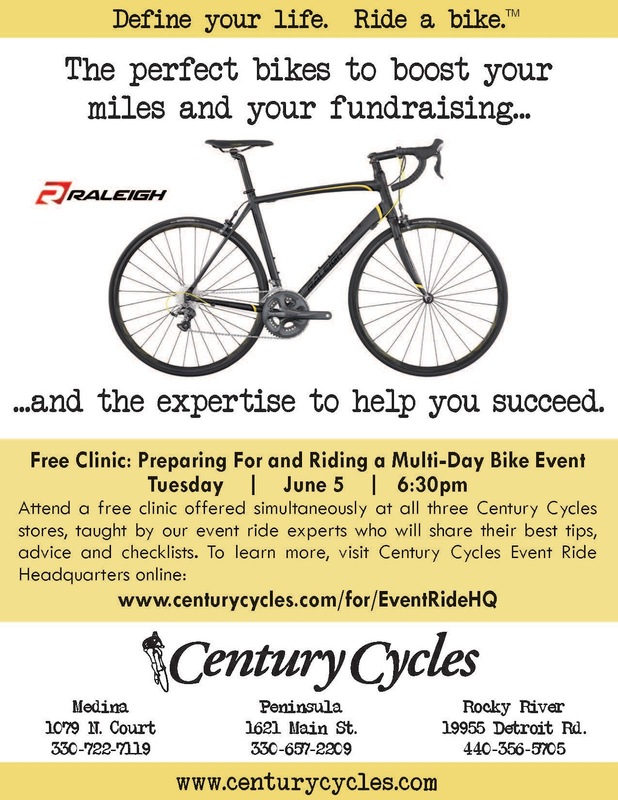 In our Rocky River store, you can also check out the latest and greatest Raleigh road bikes when the Raleigh Demo Van is there from 4 to 8pm. Go to www.centurycycles.com/for/EventRideHQ for more details.